Eye Shadow Brush for creating an intense eye color application on your eyelid. 2. 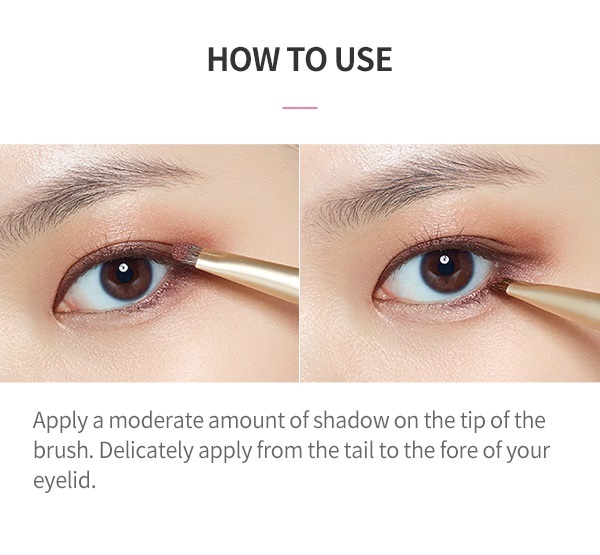 Using the Eye-Point Brush, apply eye color on your eyelid until the desired amount of color intensity is achieved. This brush is great, essential to my collection.